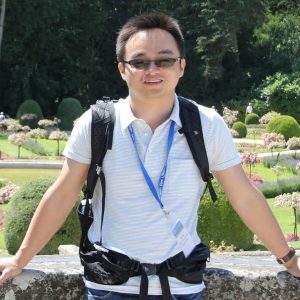 Liang Wu, of the University of California at Berkeley, will be awarded the 2017 Michelson Postdoctoral Prize for his groundbreaking experimental studies of topological materials. Wu will be in residence this week (Sept. 11–15) and will give a public lecture and three technical seminars. His lecture, titled “Quantized electro-dynamical responses in topological materials,” will be held Thursday, Sept. 14, from 4 to 5 p.m. in Rockefeller Building, Room 301. Learn more about his talks at http://physics.case.edu/event-archive/2017-mppl/. The Department of Physics has awarded the Michelson Postdoctoral Prize to a junior scholar active in any field of physics annually since 1997.